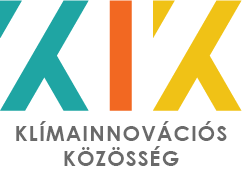 The Climate-KIC incubation programme is open for applications by Hungarian companies who have answers to the challenges that are being created by climate change. The most promising idea, submitted in the programme with a total prize pool of 150,000 €, receives 40,000 € of non-refundable support and the lucky ones will be able to take part in the world's leading startup event in Helsinki. Application is open until the 23rd of September. This summer was abounded with extreme weather conditions. In Greece, Britain and California, there were huge wild fires, and Japan have experienced heat like never before. Climate change is an undeniable problem, but greentech startuppers can provide real life solutions. Climate-KIC accelerator programme - which has been running since 2010 - now looking for startup ideas, which offer technology and business solutions to climate change challenges. Within the framework of the largest and most successful greentech incubation programme in Europe, up to 450 million € worth external source have been invested. In the accelerator programme, more than a 1,000 European and over 130 Hungarian startups have participated so far. In the incubator programme startups can develop their company with professional and business support in addition to the financial support. This time KPMG also contributes to the successful business development of the participants. The aim of the cooperating parties is the same: to show a clear direction to the applicants through their experience in sustainable and innovative technologies and give access to their services and professional organizations. KPMG’s tax and business consultants help the startups as mentors, so they get advices like global companies do. The consultant company is already working with its partners whose ideas combine environmental and social sustainability with innovation. The three-step process provides a platform for building a business model, helps understanding the market and prepare for investor’s inquiries. By the end of the programme, the best startups will receive 40,000 € and additional selected teams will get smaller amounts of non-refundable funds. The winners can spend the money on the development of their products or the services they designed and was approved by the programme leader. Also, the selected applicants will participate at the Climate-KIC Venture Competition in Helsinki. Last year more than 2600 startups, 1600 investors, and 600 journalists from 130 countries gathered at SLUSH. In 2017 the winner of the Venture Competition, which is the largest startup competition in the world, was the Hungarian team of TrucksOnTheMap. As before, the application is open for everyone even if they stuck in the idea developing phase, have only a prototype or already made a business plan. The programme is waiting for startups regardless of their project’s phase. In addition to financial support, it is important to provide strategic advice to make an idea become a more energy-efficient, more water-saving, to operate while creating less waste and emission – all while operating a more competitive business than with any traditional solutions. Startups can apply until the 23rd of September 2018 for the Climate-KIC Accelerator powered by KPMG programme.